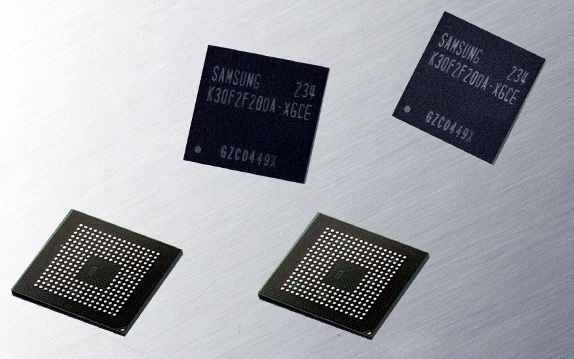 Samsung has announced that they have started producing 128GB ultra-fast embedded flash memory and 2GB LPDDR3 RAM for smartphones, tablets and other mobile devices. 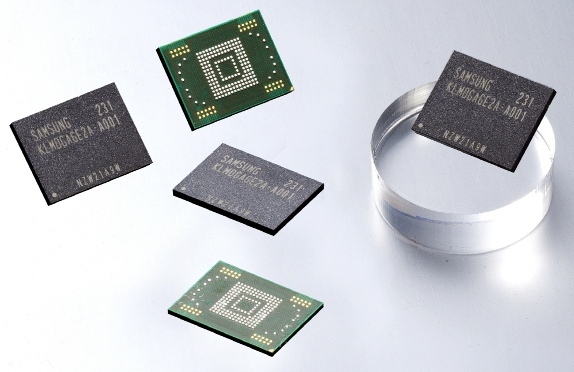 They announced last month that they have started production of the embedded flash memory in 16, 32 and 64-gigabyte (GB) densities. The 128GB eMMC Pro uses eMMC 4.5 standard that delivers up to 140 MB/s (megabytes per second) sequential reading speeds and up to 50 MB/s sequential writing speeds. The 2GB LPDDR3 RAM is based on 30 nanometer (nm) class technology similar to the 2GB LPDDR2 memory that Samsung started producing in October, 2011. It would offer better performance with devices with faster processors, high-resolution displays and 3D graphics in tablets and smartphones. It can transfer data at up to 1600 megabits per second (Mbps) per pin, which is approximately 50 percent faster than a LPDDR2 DRAM. At a transmission rate of up to 12.8 gigabytes per second (GB/s), it would let you play full HD video content in real-time on smartphones and tablets. Next Next post: Samsung: Ignore those Galaxy S IV rumors, they’re not true!